This 100 minute long comedy is the story of childhood friends Rhino and Zulu, one white boy and one black, who are inseparable until a betrayal ruins their friendship. 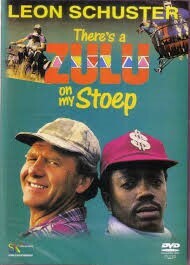 Years later, they meet up again as adults when Zulu, who has spent years in America, has become a wanted criminal. They get involved in a madcap chase involving a great deal of money and an inept member of a fascist group called T.U.R.D.